We are committed to protecting your health information. This Notice of Privacy Practices ("Notice") is provided pursuant to the Health Insurance Portability and Accountability Act of 1996 ("HIPAA") as revised in the 2013 HIPAA Omnibus Rule . This Notice describes how we may use and disclose your protected health information to carry out treatment, payment or audiological/health care operations and for other purposes that are permitted or required by law. This Notice also describes your rights and our duties with respect to your protected health information. North Jersey Hearing Aid Center, LLC. is committed to protecting your health information. This Notice of Privacy Practices ("Notice") is provided pursuant to the Health Insurance Portability and Accountability Act of 1996 ("HIPAA") as revised in the 2013 HIPAA Omnibus Rule . This Notice describes how we may use and disclose your protected health information to carry out treatment, payment or audiological/health care operations and for other purposes that are permitted or required by law. This Notice also describes your rights and our duties with respect to your protected health information. We may use and disclose your protected health information so that the treatment and health care services you receive may be billed to you, your insurance company, a government program, or third party payors. This may include certain activities that your health insurance plan may undertake before it approves or pays for the audiological/health care services we recommend for you, such as making a determination of eligibility or coverage for insurance benefits, reviewing services provided to you for medical necessity, and undertaking utilization review activities. For example, we may provide your health plan with medical information about the audiological/health care services North Jersey Hearing Aid Center, LLC. rendered to you for reimbursement purposes. We may provide treatment communications concerning treatment alternatives or other health related products or services. For communications for which we or a business associate may receive financial remuneration in exchange for making the communication, we must obtain written authorization unless the communication is made face-to-face and/or involving promotional gifts of nominal value. If you do not wish to receive these communications please submit a written request to our Privacy Officer, Justin Haworth, North Jersey Hearing Aid Center, LLC., 195 Fairfield Ave. Suite 4B West Caldwell, New Jersey 07006 United States. We may use or disclose your demographic information and dates of services provided to you, as necessary, in order to contact you for fundraising activities supported by North Jersey Hearing Aid Center, LLC.. You have the right to opt out of receiving fundraising communications. If you do not want to receive these materials, please submit a written request to our Privacy Officer, Justin Haworth, North Jersey Hearing Aid Center, LLC., 195 Fairfield Ave. Suite 4B West Caldwell, New Jersey 07006 United States. Unless you object, we may disclose to a member of your family, a relative, a close friend or any other person you identify, your protected health information that directly relates to that person's involvement in your health care. If you are unable to agree or object to such a disclosure, we may disclose such information as necessary if we determine that it is in your best interest based on our professional judgment. Also, for example, if you are brought into this office and are unable to communicate normally with your clinician for some reason, we may find it is in your best interest to give your hearing instrument and other supplies to the friend or relative who brought you in for treatment. We may also use and disclose protected health information to notify such persons of your location, general condition, or death. We also may coordinate with disaster relief agencies to make this type of notification. We also may use professional judgment and our experience with common practice to make reasonable decisions about your best interests in allowing a person to act on your behalf to pick up your hearing instruments, supplies, records, or other things that contain protected health information about you. We may disclose your protected health information as authorized for workers' compensation or other similar programs that provide benefits for a work-related illness. Other uses and disclosures of your protected health information not described in this Notice will be made only with your written authorization, unless otherwise permitted or required by law. You may revoke this authorization, at any time, in writing, except to the extent that North Jersey Hearing Aid Center, LLC. has taken an action in reliance on the use or disclosure indicated in the authorization. Additionally, if a use or disclosure of protected health information described above in this Notice is prohibited or materially limited by other laws that apply to use, it is our intent to meet the requirements of the more stringent law. 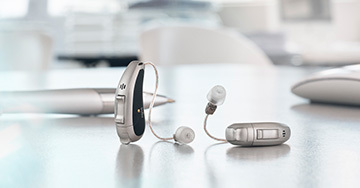 You may inspect and obtain a copy of your protected health information that is contained in your medical and billing records and any other records that North Jersey Hearing Aid Center, LLC. uses for making decisions about you. To inspect and copy your medical information, you must submit a written request to our Privacy Officer, Justin Haworth, North Jersey Hearing Aid Center, LLC., 195 Fairfield Ave. Suite 4B West Caldwell, New Jersey 07006 United States. If you request a copy of your information, we may charge you a reasonable fee for the costs of copying, mailing or other costs incurred by us in complying with you request. Under federal law, you may not inspect or copy the following records: psychotherapy notes; information compiled in reasonable anticipation of, or use in, a civil, criminal, or administrative action or proceeding; and protected health information that is subject to law that prohibits access to protected health information. Depending on the circumstances, we may deny your request to inspect and/or copy your protected health information. A decision to deny access may be reviewable. Please contact our Privacy Officer, Justin Haworth, at (201)787-4368 or [email protected] if you have questions about access to your medical record. You may ask us not to use or disclose any part of your protected health information for the purposes of treatment, payment or healthcare operations. You may also request that any part of your protected health information not be disclosed to family members or friends who may be involved in your care or for notification purposes as described in this Notice. To request a restriction on who may have access to your protected health information, you must submit a written request to our Privacy Officer, Justin Haworth, North Jersey Hearing Aid Center, LLC., 195 Fairfield Ave. Suite 4B West Caldwell, New Jersey 07006 United States. Your request must state the specific restriction requested and to whom you want the restriction to apply. North Jersey Hearing Aid Center, LLC. is not required to agree to a restriction that you may request, unless you are asking us to restrict the use and disclosure of your protected health information to a health plan for payment or audiological/health care operation purposes and such information you wish to restrict pertains solely to a audiological/health care item or service for which you have paid us "out-of-pocket" in full. If we believe it is in your best interest to permit the use and disclosure of your protected health information, your protected health information will not be restricted. If we do agree to the requested restriction, we may not use or disclose your protected health information in violation of that restriction unless it is needed to provide emergency treatment. You have the right to request to receive confidential communications from us by alternative means or at an alternative location. We will accommodate reasonable requests. You must request this by submitting a written request to our Privacy Officer, Justin Haworth, North Jersey Hearing Aid Center, LLC., 195 Fairfield Ave. Suite 4B West Caldwell, New Jersey 07006 United States. 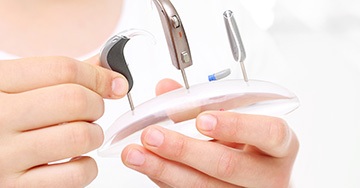 You may request an amendment of your protected health information contained in your medical and billing records and any other records that North Jersey Hearing Aid Center, LLC. uses for making decisions about you, for as long as we maintain the protected health information. You must request for an amendment by submitting a written request to our Privacy Officer, Justin Haworth, North Jersey Hearing Aid Center, LLC., 195 Fairfield Ave. Suite 4B West Caldwell, New Jersey 07006 United States, and provide the reason(s) that support your request. In certain cases, we may deny your request for an amendment. If we deny your request for an amendment, you have the right to file a statement of disagreement with us and we may prepare a rebuttal to your statement and will provide you with a copy of any such rebuttal. You have the right to receive an accounting of certain disclosures we have made, if any, of your protected health information. This right applies to disclosures for purposes other than treatment, payment or healthcare operations as described in this Notice. It excludes disclosures we may have made to you, for a resident directory, to family members or friends involved in your care, or for notification purposes. The right to receive this information is subject to certain exceptions, restrictions and limitations. Additionally, limitations are different for electronic health records. You must request for an accounting of disclosures by submitting a written request to our Privacy Officer, Justin Haworth, North Jersey Hearing Aid Center, LLC., 195 Fairfield Ave. Suite 4B West Caldwell, New Jersey 07006 United States, and provide the reason(s) that support your request. You have the right to receive a paper copy of this Notice even if you have agreed to receive this notice electronically. You may ask us to give you a copy of this notice at any time. To obtain a paper copy of this Notice, you can contact our Privacy Officer, Justin Haworth, at (201)787-4368 or [email protected] You may also obtain a copy of this Notice at http://www.northjerseyhearing.com. If you believe your privacy rights have been violated, you may file a complaint with us or with the Secretary of the U.S. Department of Health and Human Services. If you have a question about this Notice or wish to file a complaint with us, please contact our Privacy Officer, Justin Haworth, at (201)787-4368 or [email protected] or the Corporate Privacy Officer at the address listed below. All complaints must be submitted in writing. North Jersey Hearing Aid Center, LLC. will not retaliate against you for filing a complaint. We reserve the right to change this Notice at any time. The new Notice will be effective for all health information we already have about you as well as any information we receive in the future. You can also obtain a revised Notice at http://www.northjerseyhearing.com or by contacting our Privacy Officer, Justin Haworth, North Jersey Hearing Aid Center, LLC., 195 Fairfield Ave. Suite 4B West Caldwell, New Jersey 07006 United States. North Jersey Hearing Aid Center, LLC.